Maintain all court documentation in a safe place including all records proving payment of fines and the completion of probation or parole. Many times people are unaware that there are outstanding warrants or open charges against them. Often times, this may happen due to a change of residence or putting off a court matter for years then forgetting about it. Therefore, having a criminal background check performed by the State Police is necessary and inexpensive when attempting to clean up your record. The report will provide you with the necessary information to fully clear up your record once and for all; thus, moving the path to get your life back on track. Expunging your criminal record is a legal process in which your criminal charges and/or convictions are removed by way of a court order from the general public access including present and future employers as well as colleges and technical institutions. This process can only be performed once and must be inclusive of all of your charges to fully clear your criminal record. 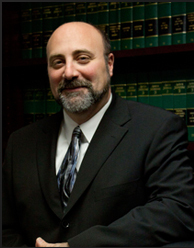 There are also time requirements involved with the performance of an expungement. To find out if you qualify to have your criminal record expunged, please contact the Law Office of Gregory Dibsie at (856) 227-4025.